Salamander season is upon us! While most of the country is hunkering down for several months of ice and snow, coastal California is just getting started for wet winter nature exploration! 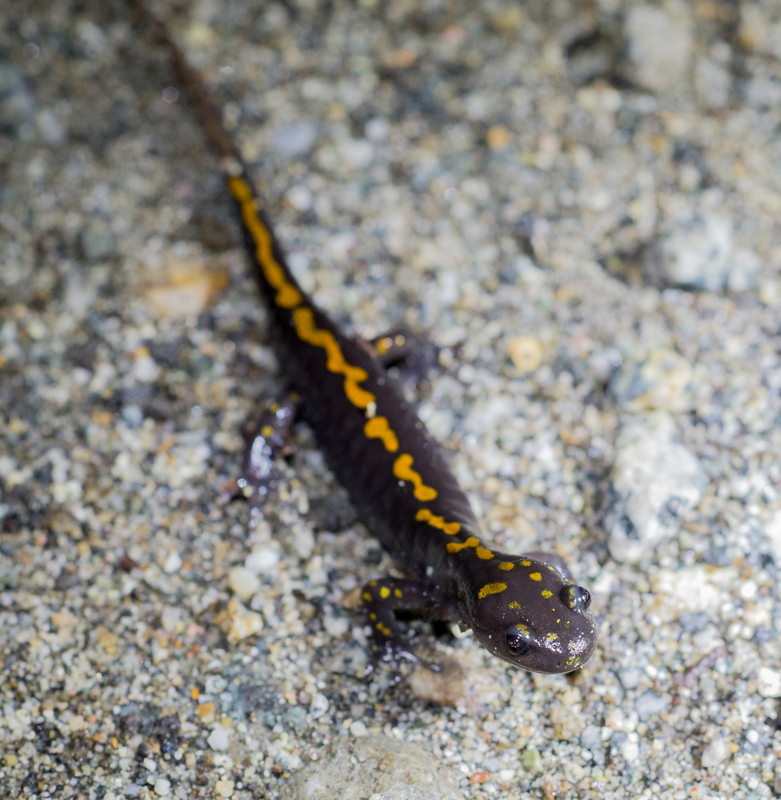 While we're still in a drought, we have been getting a bit of rain, which means the hills are greening, mushrooms are popping, and, of course, salamanders are on the move! 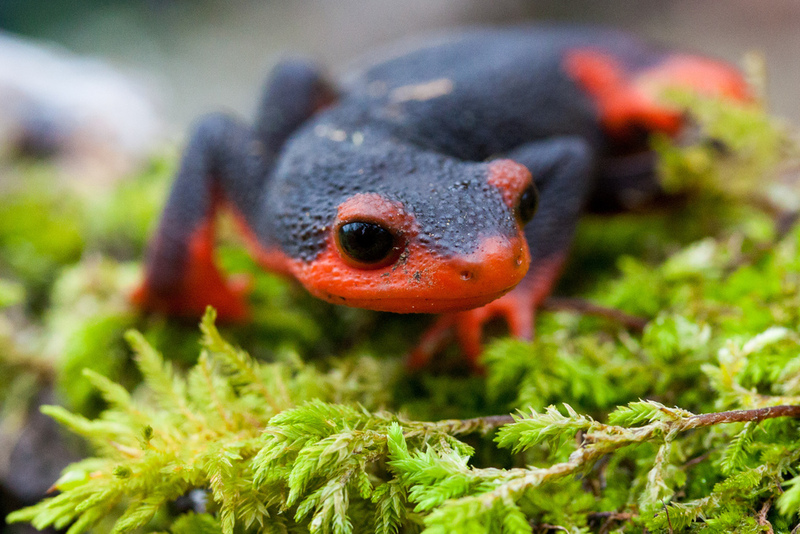 Salamanders, like all amphibians, have water-permeable skin, which means they can't survive long under dry conditions. During the dry seasons of summer and fall, they "estivate," which is like hibernating at the opposite time of year, but when winter rains start falling, they emerge to feed (and breed) at the surface. 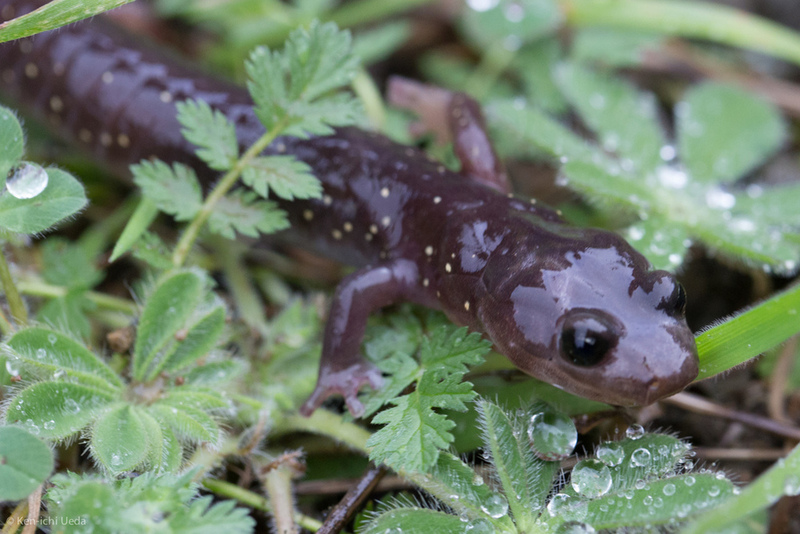 The photo above is of a California Tiger Salamander (Ambystoma californiense), photographed during last Thursday's rain storm in eastern Alameda County by CCNH members. These animals live in dry grasslands, not exactly where you'd expect to find salamanders, but they survive underground in California Ground Squirrel (Otospermophilus californicus) burrows almost their entire lives... except when they emerge during early winter rains to breed in temporary vernal pools, and that's when you can find them, either in such pools or marching over land on their way to them. California Tiger Salamander larva from Jepson Prairie Preserve in Solano County. Photo © Ken-ichi Ueda. 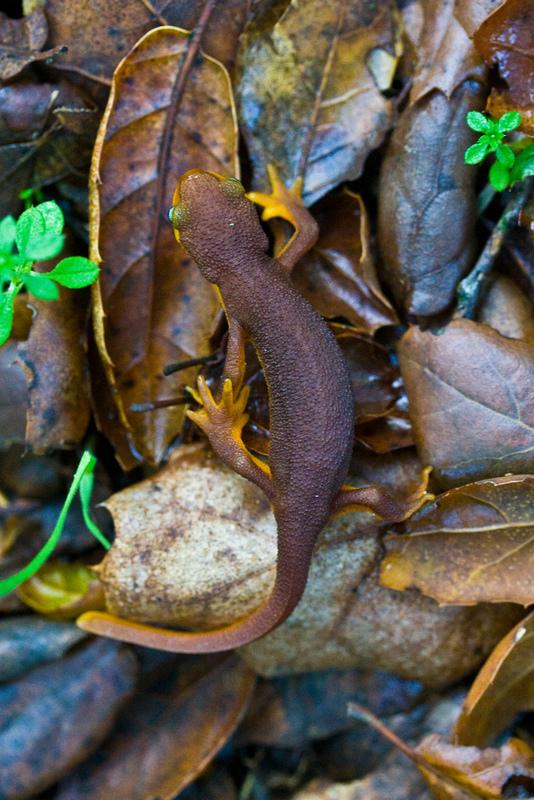 If you're interested in learning more about salamanders, we're hosting a Valentines Day Newt Night Hike on February 14, where we'll be looking for newts, frogs, and other amphibians. Details for this event are pending, so keep checking our website for more information or sign up for our mailing list to stay updated about our events!